Comfortable twin bedded room with access via ramp and all disabled facilities catered for. Shower etc. accessible for wheelchair users. 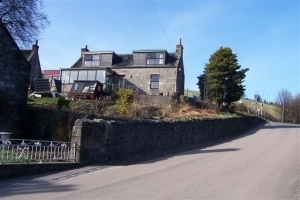 Set in a quiet part of town overlooking Dufftown Distillery and close to Mortlach Church. Room has Tea/Coffee making facilities and has its own private bathroom. Price: ?22.50 per person per night for bed & breakfast.